FSUE Rosmorport says ceremonial hoisting of state flags was held onboard its two new ships on 2 December 2016 in the framework of the “Transport of Russia” exhibition in Moscow. In a videoconference format Deputy Prime Minister Arkady Dvorkovich announced the start of the ceremony for the dredging ship Kadosh moored in Tuapse and the workboat Bata in Temryuk. 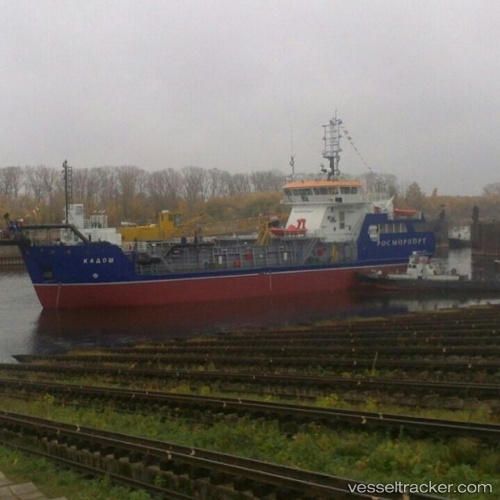 The Kadosh is the last ship in the series of three dredgers of TSHD 1000 design built by Krasnoye Sormovo shipyard to the order of FSUE Rosmorport. The TSHD 1000 was designed by Damen Shipyards Gorinchem (Netherlands) and working design documentation was provided by Volga-Caspian Design Bureau (MNP Group, Russia).